The clients daughter inherited a sapphire and diamond ring that they knew she would not wear. They wanted to make a pendant from the stones. There were 2 diamonds and 1 larger sapphire. We decided to make 2 pendants with the stones. 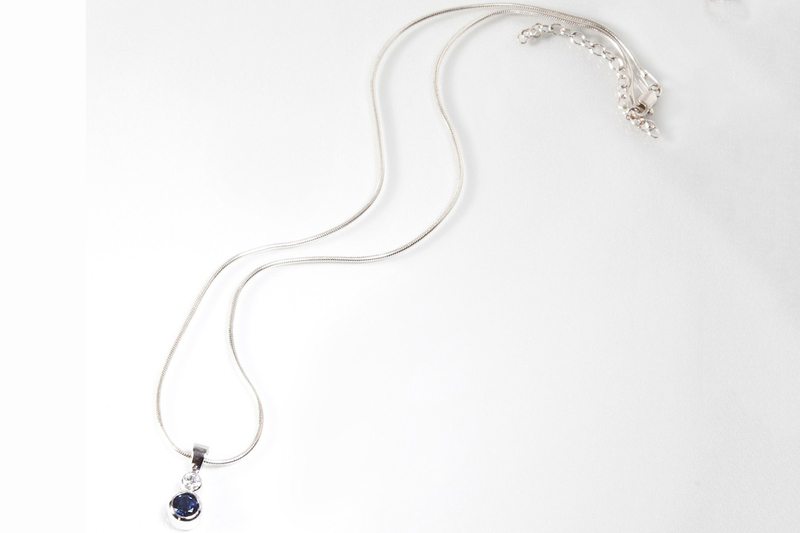 One being made of 9ct white gold with the larger sapphire and diamond for special occasion wear. 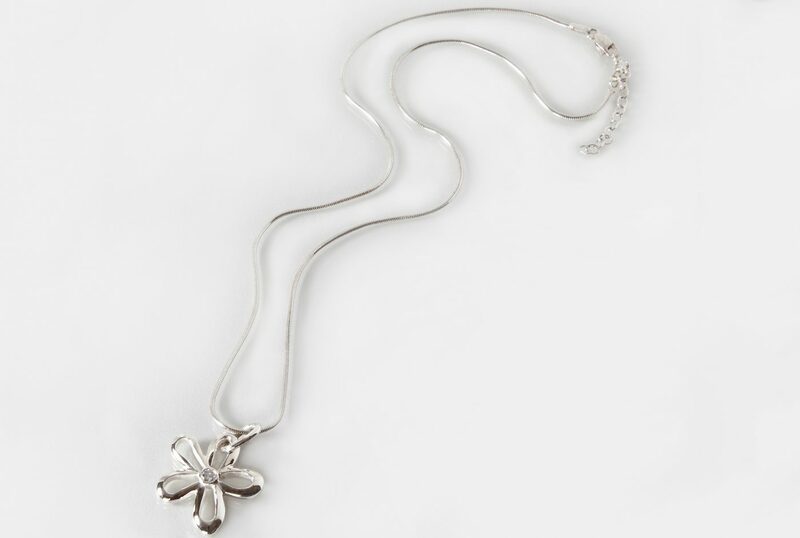 The other this flower and diamond pendant more for every day.